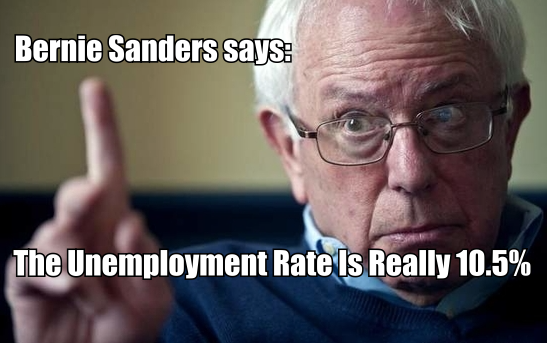 America riggs the numbers when it comes to measuring unemployment. It may be that every country does that. I really can't say. 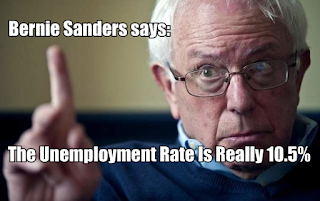 I think that Bernie Sanders is coming close to real numbers when e quotes 10.5%. American's participation in the labor market (which is different than the employment rate) is as low as it's been since the Department of Labor started measuring it. 62.6% of all Americans participate in the labor force, leaving 37.4% who do not. There are a number of reasons that people don't work. Having said that, one must look at the current participation rate historically to determine "how bad things are". There are different reasons for this. One is the system that the nation has put in place, which encourages an underground employment wherein people work but they are not paid through the traditional reporting system. They work "under the table", for cash. It benefits both the employer and the employee because neither has the burden of Social Security, income tax, Medicare or employer matching costs. Often the employee can claim unemployment and thus, qualify for food stamps, aid for dependent children, housing subsidies and pull in tens of thousands in earned income credit. If the employment rate is so good, why is the nation teetering on recession --- still. I understand that Obama and his acolyte, Hillary Clinton are telling America that, "happy days are here again". I simply think that they're full of ---rhetoric. America's founders, now characterized as "rich white men", as if that was an indictment, understood that government needed to offer the maximum flexibility and freedom. They created a system that was federated (layered). Each layer had its responsibilities. Each enacted laws particular to the needs and ambitions of its constituents. Each elected citizens to serve to oversee the level and function of government that it needed. The Constitution enumerated what the National government was responsible and EVERYTHING else was left to the individual states to decide. The Bill of Rights and a Supreme Court was set up to insure that the system was fair and the playing field, even. America was not designed to have a massive central government that took money in and then redistributed that money to buy votes. Central planning doesn't work. The nation is too complicated, the people too diverse and the system too complex. There is a lesson here that the Europeans are learning to their detriment, as they try to reinvent the wheel. (Fox News) GREECE'S WORSENING debt crisis sends shivers through American stock markets, a day after Greek voters reject demands from international creditors for further austerity measures in exchange for a bailout of its bankrupt economy. The Wisdom of Bankers and Planners? The soul-searing lesson of the fall of the Soviet Union and the Warsaw Pact is that central planning of a national economy or of a set of linked national economies exceeds the wisdom and wit of economists, bankers and financial experts. The European Union and its economic advisors and agencies failed to learn that lesson. Elite leaders are simply not smart enough to control or even anticipate the choices of free people. For the second time, voters approved the anti-austerity party and policies by a large majority. The electoral mandate of the Syriza Party has been reaffirmed by a large margin. That mandate is that the austerity programs designed in bureaucratic offices by unelected functionaries has failed and will not be continued in Greece. Greece has not settled its debts or solved its economic problems, but its voters have voted for Greece over Europe and in that expression of political will have reclaimed their national sovereignty. That changes everything. 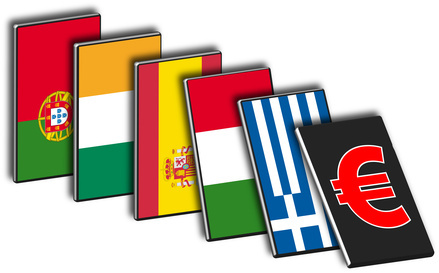 Greece will still owe Euro-denominated debts. On the other hand, its leaders have a strong mandate to repudiate Euro-mandated rules in settling them. The Greek voters just said that the Brussels bankers are not sovereign. That converts the forthcoming economic negotiations into a traditional model of sovereign vs bankers. The European Union, the European Central Bank and the International Monetary Fund came close to emasculating the idea of national sovereignty in the guise of debt settlement. Looking ahead, the Greeks will do fine. At least half the Greek national GDP is off the books. The grey economy is flexible, corrupt and responsive. Greeks know how to survive. Most TV narratives will not convey that message. 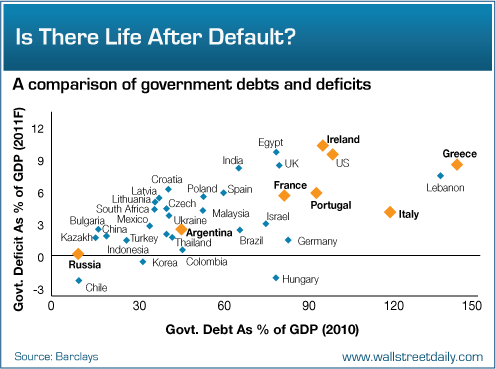 The BBC and other analysts have written that past bailouts for Greece actually exceed the total amount of Greek national debt. The debt service rates attached to the loans, however, resulted in 90% of the loans being committed to paying off debt service to the lenders. Less than 10% of the European loans remained to pay pensions or other sovereign obligations. This was a rigged system. Five years of European bailouts produced deeper indebtedness without any improvement in the Greek Gross Domestic Product. Greek bailouts have been an economic shell game that profited the lenders. The near term consequences will be negotiations among the Europeans over another Greek bailout, so as to avoid acknowledging their colossal failure of judgment. There will emerge new opportunities for profits with Greek entrepreneurs and consumers, if Greece returns to free market economic policies. US investors hold only about $10 billion of Greece’s $330 bn debt. This is pocket change relative to the US debt. The largest threat is that other debtor states, whose population is tired of austerity policies that have not failed, will follow the Greek example. A domino effect could lead to more serious consequences for US investors, especially if the Greek way leads to prosperity instead of perpetual poverty.